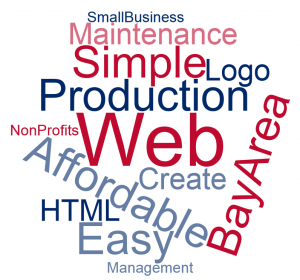 Welcome to Bay Area Web Production, the company that produces websites for small businesses and non-profits. Our motto is “Web Simple” because your website should not be a complicated burden on you, the business owner. You have a business to run, but your website is very important. So leave it to Bay Area Web Production to build a simple, easy to maintain website at a cost you can afford. We can handle websites created with WordPress, Joomla or even straight HTML.